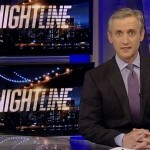 Dan was behind the anchor desk of Nightline to start off the week on Monday, July 14th. The episode began with an investigation on why July is one of the most dangerous months. 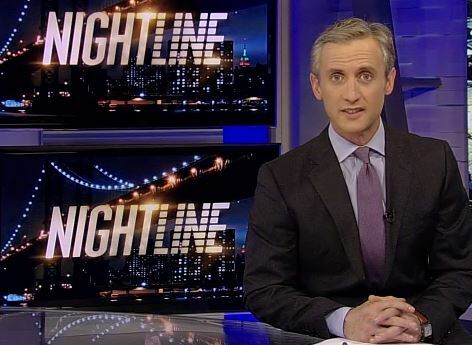 Says Dan, “Nearly 80 million Americans are facing extreme weather tonight. It’s the most dangerous month of the year for lightning strikes. As you’re about to hear, they can even hit in your own home.” Nightline follows ABC’s senior meteorologist Ginger Zee to learn about the dangers of lightning, why it occurs and how to stay safe. The next piece goes behind the scenes with the newest and youngest heavy metal group. Three kids from Brooklyn started a band called “Unlocking the Truth” and have signed a 2 million dollar record contract. The kicker? They are barely teenagers with two of the members at age 13 and one at age 12. In the final story of the night, Nightline travels to Rwanda and the Congo to see real life primate power struggles in the wild. Watch the full episode here.